Feed the Monster! Food Group Activity | Print, Cut, Paste, Craft! For those of you that know my work as an illustrator, I love drawing monsters ! 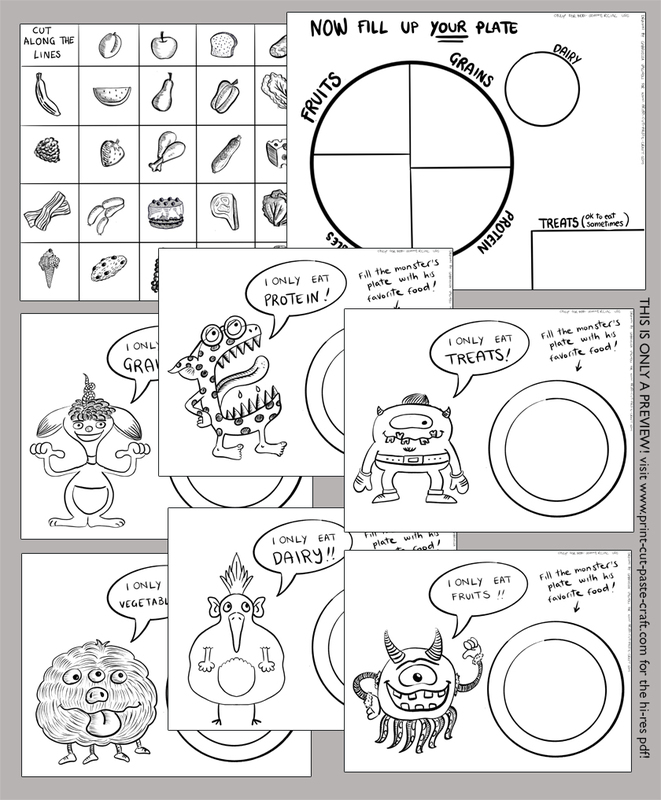 I thought I would put those monsters to work to help you teach your kids about the main food groups with a cute free printable activity! 1 sheet for the kids’ own plate with their favorite foods divided according to the FDA guidelines for healthy eating.